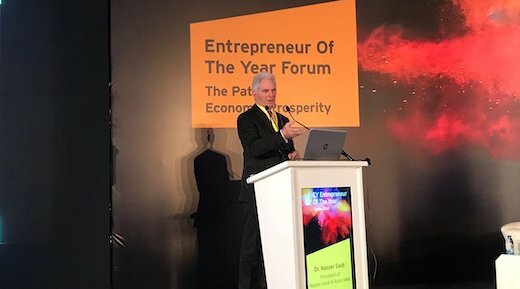 Dr. Nasser Saidi gave the opening keynote presentation “Jordan: Adjustment & Reform along the Path(s) to Economic Prosperity” at EY’s Entrepreneur of the Year 2018 Jordan Forum titled “The Path to Economic Prosperity” in Amman on the 26th of November 2018. The presentation covered the global macroeconomic outlook and risks, and focused on Jordan’s economic performance and recent reforms. Dr. Saidi also proposed a list of structural reforms needed for private sector development in Jordan, including increasing female labour force participation and a national digitalisation policy. The talk ended with a slide on focused reforms for “Paths to Prosperity” for Jordan.